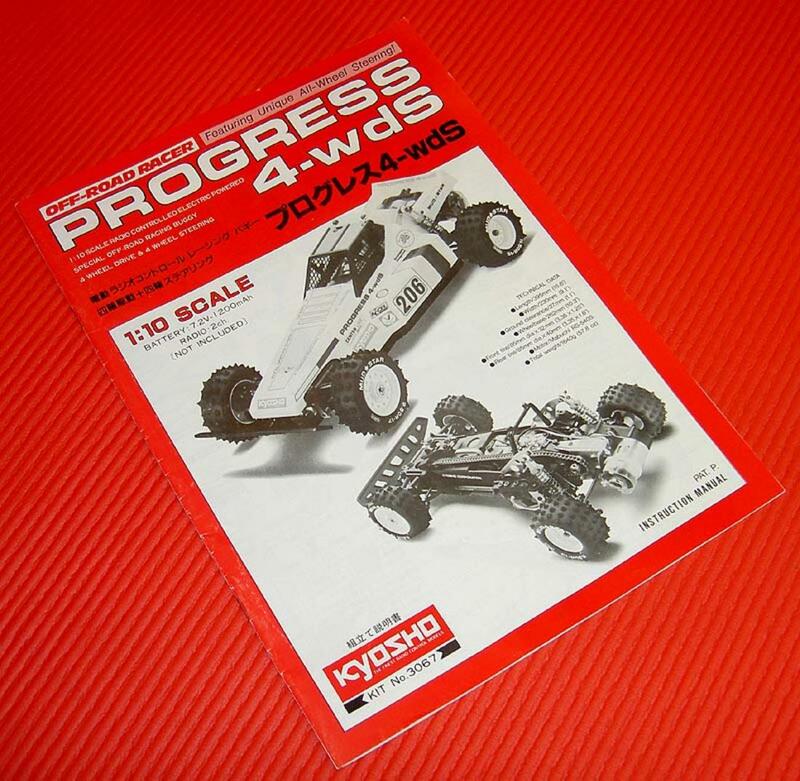 This, ladies and gentlemen, is the Kyosho Progress 4WDS! 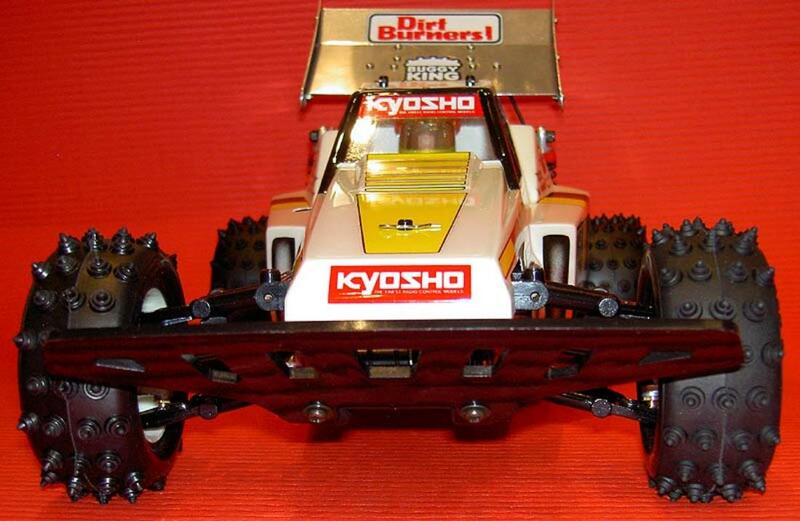 My first RC was the Holiday Buggy back in 1981, and even though it in hindsight wasn't a genious construction I loved it! At least it was pretty straightforward, and with some reinforcments it was a reliable car. After that I fell for the Wild Willy in 1983. It was big fun! 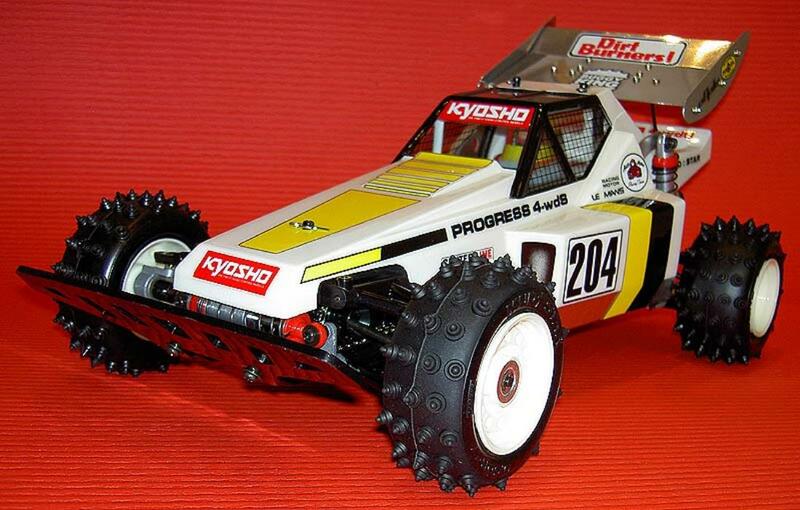 But useless for off-road and serious racing! So, there I was in 1984 at my LHS called Belboe & Jensen, in Trondheim. Looking at this new beast called the Progress. I was very, very sceptical. It looked a bit overcomplex! And it was a loooong decision prosess. But I finally went for it. Had I known the Hotshot would appear in 1985 I think I would have waited! 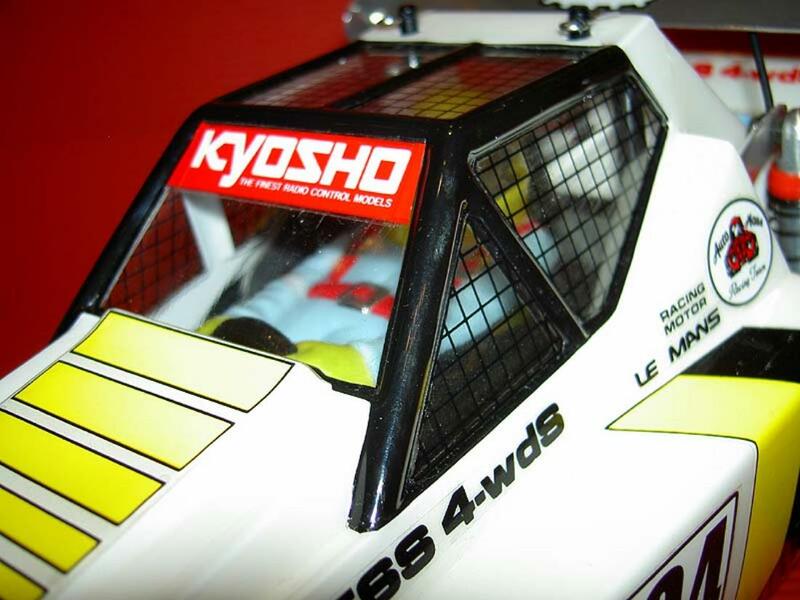 :-) There also was the Yokomo Dogfighter as an alternative in 1984, which I guess was a better option. But it didn't look that tempting. 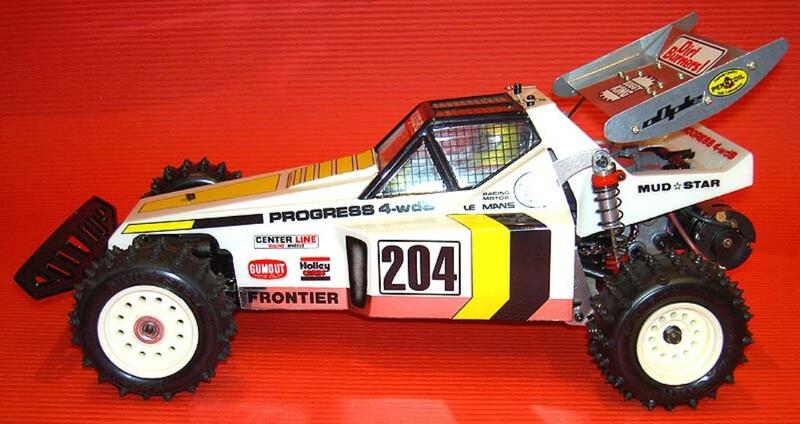 And I seem to recall it was pre-built as well. Half the fun has always been building these babies!!! made this solution a nightmare. 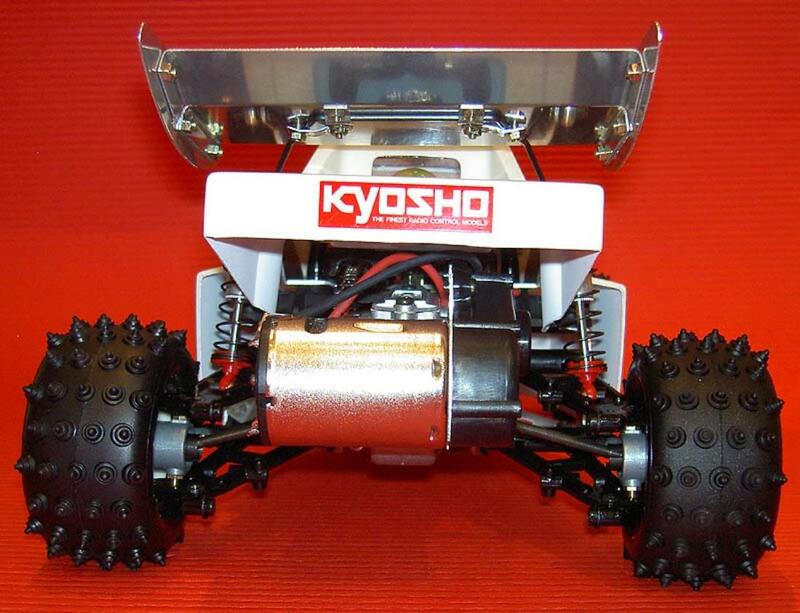 There wasn't really anything wrong with the 4 wheel steering, it made the car turn on a dime. But it made it heavier and there was a lot of links that could pop off. The chain for the front wheel drive was more of a neckless, very thin! And it got stretched all the time, which again resulted in loss of front wheel drive. I was a kid with a low budget, so ball bearings were not bought as a replacement for the brass bearings. That and an oil filled rear gearbox was a disaser, it leaked oil everywhere to my mother's frustration! :-) The battery was placed across, and high up in the rear. This was not ideal for the handling. 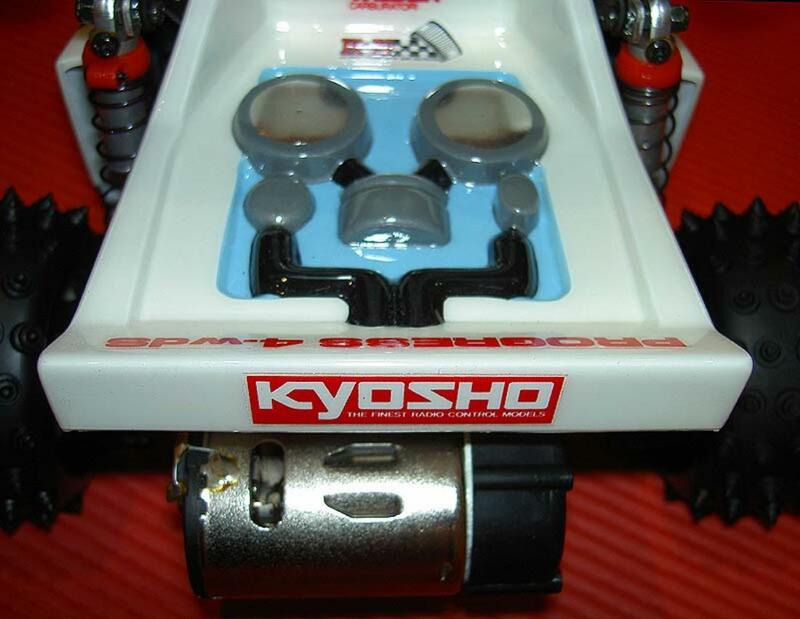 Not to forget the front mono damper, that's never been a good solution. Inspired from Tanatwo I painted a chrome bottom field on the shell. Plus some air intakes. 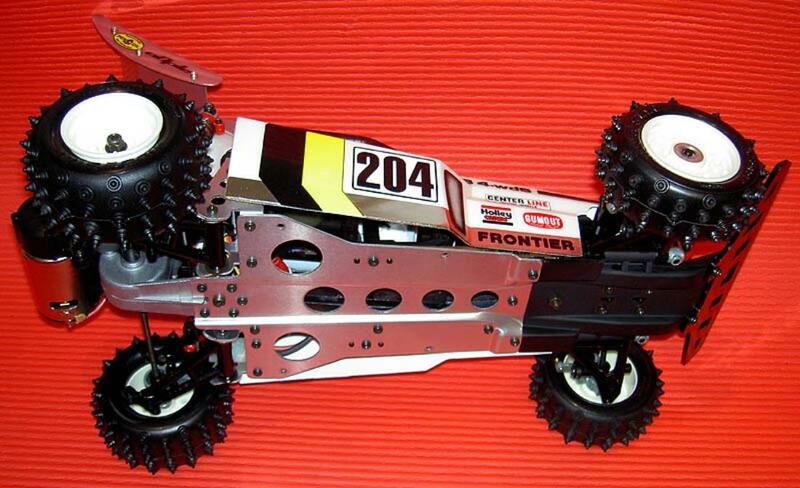 Topped off with an aluminium Dirt Burners wing. Nice story and a perfect looking car. I think it was expensive! 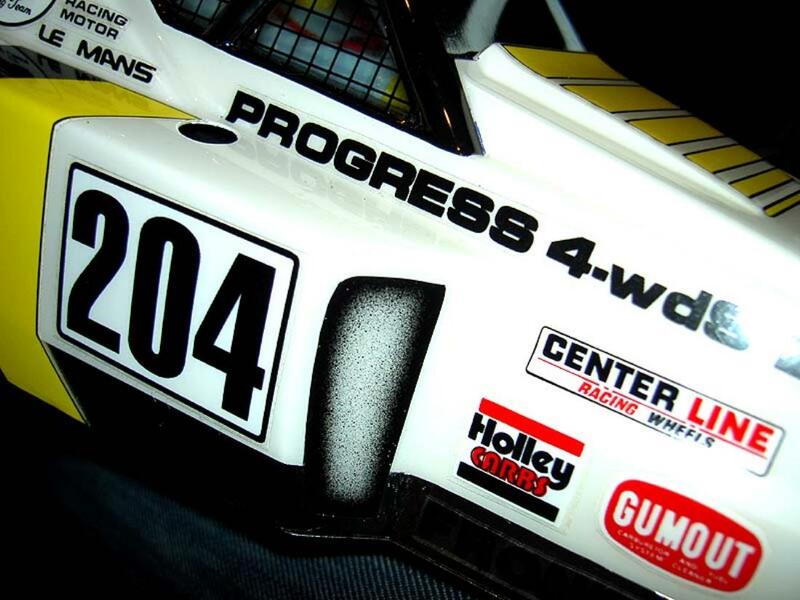 That is one minty Progress, and a very nice piece of R/C history. 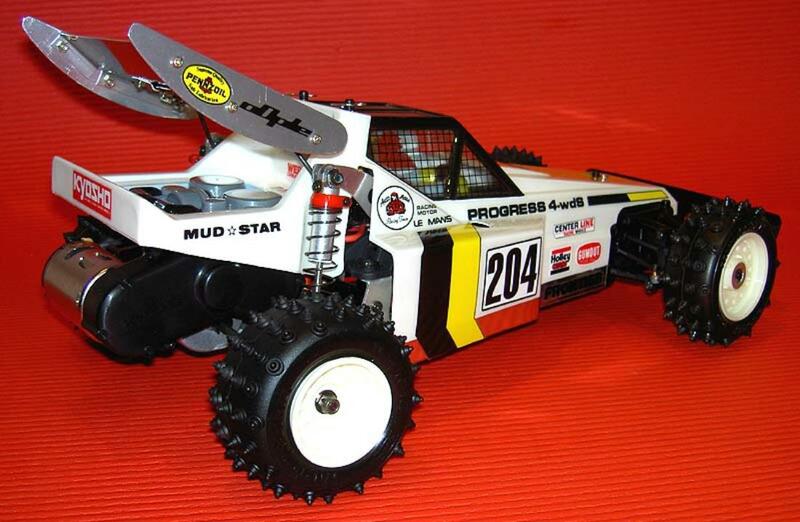 And to think I was only four when you bought one at the hobby shop! What a wonderful piece of art! !